20 year old university student, Markysa hopes to further more her education and study masters degree in the future. She is from Basseterre and stands 5'6" tall. 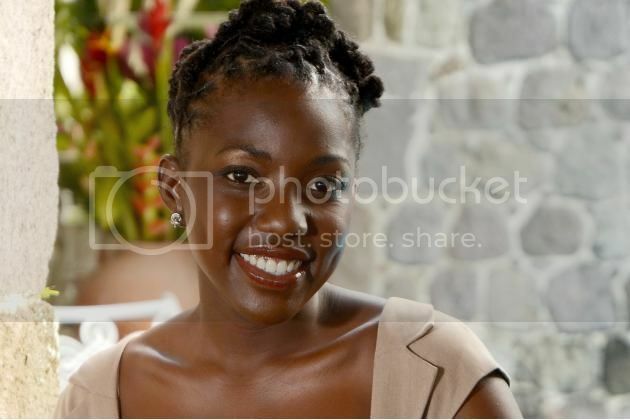 She likes hiking, reading, cooking, playing netball and loves listening to a range of music genres including calypso and reggae. O'Loughlin's favourite food is mashed green banana with steamed fish and vegetables. One interesting thing about her is she plays the steel pans. She believes is the saying "Find yourself, love yourself, know yourself, be yourself." Markysa representing Saint Kitts & Nevis will compete against other 119 hopfuls vying the crown of Miss World 2012 which celebrates the grand finale on August 18 in Ordos, Inner Mongolia at the People's Republic of China. It is one of the most celebrated and the oldest surviving beauty contests in the world since 1951. If ever she wins the crown, she will stay in London entire her reign and will travel to represent the Miss World Organization and its various causes. Will the talent, beauty and intelligence of Miss St. Kitss & Nevis stand out and impress the judges to take home the coveted crown?